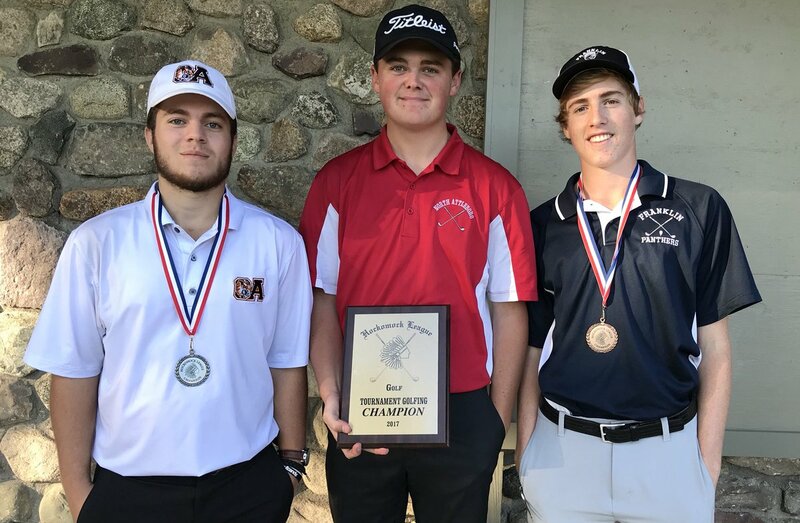 The FHS golf team finished 3rd in the Hockomock League Golf Championship held Thursday at Blue Hill Country Club in Canton. The overall team results, the Top 10 and the Franklin team results are shown below. Thanks to HockomockSoorts for making them available to share.